What do you call a motionless New Yorker? City dwellers are constantly on the move, whether they’re running to catch a train, running to steal a cab, or running their mouths about the drawbacks of their least favorite borough (while singing the praises of their own neighborhood). It truly is the city that never sleeps, and New Yorkers fill every waking moment with activity of all kinds. And if they have a free hour? Of course, the home of the tallest building in the United States, most expensive pet wedding in history, and largest Chick-fil-A in the world doesn’t do fitness halfway. These 13 fitness classes feature the sweatiest, heart-pumpingest, most unique workout experience the Big Apple has to offer. Get your best body in check so you can survive in the best city in the world. While SURFSET isn’t a “how to surf” class (kind of hard to pull that off in the waveless East Village), it’s surf-inspired to build balance, core strength, coordination, agility, aerobic conditioning, and lean muscle. Don’t worry about being a total kook and snaking someone on a wave just as they were about to get pitted. Instead, get stoked on establishing total body awareness on their 6-foot long surfboards on top of three balance balls, which mimic the feeling of being on water and challenge you to engage all of your muscles as you find stability. Incorporating “shred the gnar” into everyday conversation is optional. SLT stands for “Strengthen Lengthen Tone.” Get ready for 50 minutes of engaging your core as you plank, twist, lunge, and pulse your way to a stronger, leaner physique. Think you’ve felt soreness in every part of your body? Think again. SLT’s workout is performed slowly to activate the slow-twitch muscle fibers, so you’ll be exhausted by the end of each workout, and toned and tightened after a few weeks of regular practice. Unlike other workouts, which are specific to either cardio or toning, SLT combines the two for a session that’s as efficient as it is effective. Less worried about hitting PR’s and would rather just get down with your bad self? M Dance & Fitness welcomes you with open arms and a swivel of the hips. Fun class options like Hip Hop/Burlesque Cardio, Hottilates Barre, and Cardio TONE get your heart pumping and your booty popping. Your face might also be sore after class, but no worries — that’s simply from all the smiling. One of your main goals this year is to lose weight, but you want to do it the right way. Head straight to Regenerate Fitness. This private and semi-private personal training studio specializes in weight loss and corrective exercises that help reduce the likelihood of injury while optimizing performance. 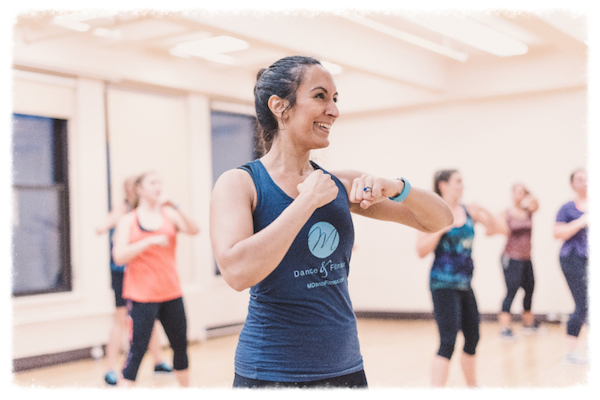 Their range of semi-private classes include an intense 30-minute High Intensity Interval Training (HIIT) Tabata class, Cardio Abs, restorative yoga, chair yoga, beginner pilates mat, and kickboxing. The instructor’s passion for health, wellness, and fitness will help you effectively achieve your goals effectively and at a pace you can stick with. If you forget to drop off your inhibitions at the door at Body & Pole, don’t worry — after five minutes in any of the pole, hoop, or fabric classes, they’ll see themselves out. “This city can be fast-paced and stressful. We hope to provide a safe oasis where you can learn new skills, express yourself, feel connected to a community, and have fun!” says manager Irmingard Mayer. You’ll quickly discover that spinning around a pole and dangling from aerial silks require a lot more than momentum and a floor to catch you. If you’re new to any of the techniques, Body & Pole suggests taking their intro classes (a few times) to ground yourself in the proper placement of your body on the various apparatus. Sure, you’ll get your heart pumping, but it’s about more than just earning a badge on your Fitbit. We’ll skip the Forrest Gump jokes and get straight to the point: If you want to be a faster, stronger runner with more endurance, Mile High Run Club is for you. A variety of classes help runners of all levels work toward their goals. DASH 28 helps you build your mileage in a 45-minute session that covers two to three miles on the treadmill and incorporates strength training. Expect to cover about five miles in the treadmill-only High 45 endurance class. Short on time? 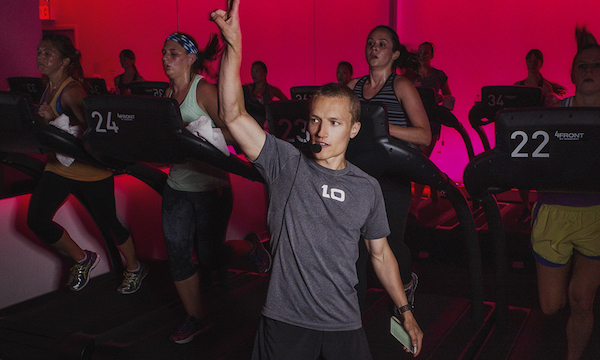 Get your cardio in for the day with 30 minutes of straight running in the DIRTY 30 class. You’ve run all the miles, pulsed all the pulses, and danced til ya couldn’t dance, til ya couldn’t dance no more. Your muscles stopped responding to your workouts. You’ve hit the dreaded exercise plateau. It’s time for the bari method. Their Dance class moves and grooves you through a superset dance combination while interspersing toning moves for a full-body experience. Bounce marries trampoline work with hanging resistance bands to simultaneously challenge your strength and balance. Sculpt utilizes the barre, hanging resistance bands, bari balls and bari skimmers for allover conditioning. Can’t decide? Opt for the Hybrid class to get a taste of it all. Body boredom doesn’t stand a chance with bari. If you’ve never considered yourself an “athlete,” Tone House is ready to change your mind. The changes in your body will be an added bonus. 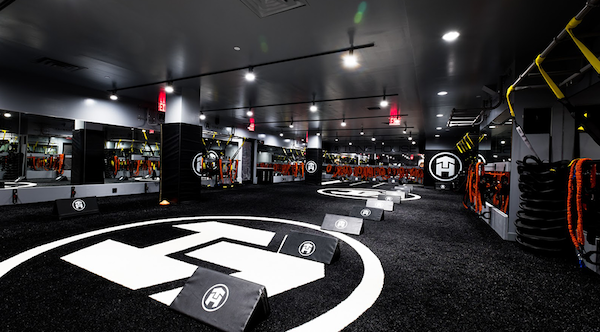 The first-ever extreme, athletic-based group fitness studio, Tone House’s classes are team-oriented, competitive, and fun, with a ton of sweat thrown in for good measure. 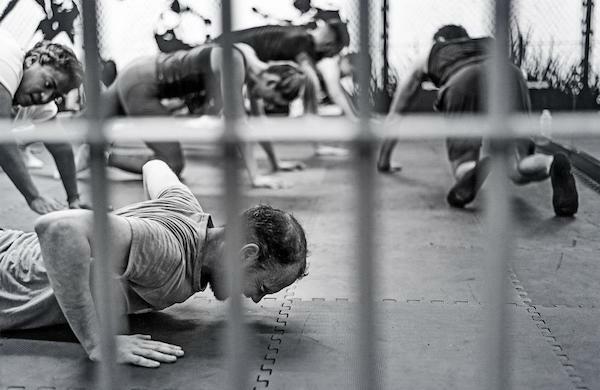 While each class varies, the core focus is consistent transitions from explosive to non-explosive exercises paired with resistance and velocity training techniques. Basically, after a few weeks, you’ll be a beast. Which is cooler than just claiming “athlete” status, honestly. The last time you jumped on a trampoline, you were eight years old playing with your cousin and trying to bounce each other off the edge before your mom yelled at you to stop. At trampoLEAN, you’ll contract and relax muscles in all parts of your body with every bounce. The low-impact workouts alleviate stress on your joints but keep you moving constantly for a full 50 minutes, which translates into a serious calorie burn. 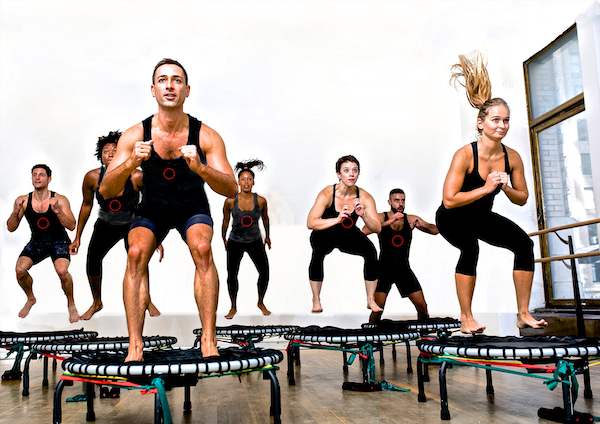 “trampoLEAN’s low-impact class helps you stay laser focused on your mind/body connection,” says founder Louis Coraggio. These days, it’s important to be prepared for anything. Nowhere is that more true than New York City. From mascot fights to surprise Broadway performances on the subway, you never know what each day will bring. While we’d advise against participating in cartoon character brawls, and we assume you’d like to leave belting out showtunes to the professionals, there is a disciplined way to be ready for whatever. And you get to use a sword. 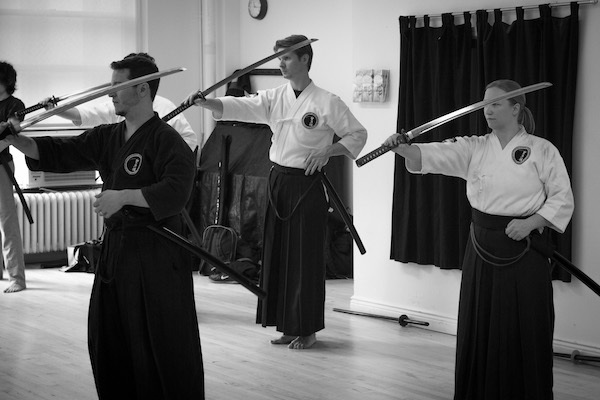 Different Sword Class NYC classes will teach you the techniques associated with various historical sword fighting practices. Big fan of Japanese culture and looking to channel your inner Samurai? Give Kendo a shot. More of a “knightly duel” kind of person? Get your Game of Thrones on with HEMA: Longsword. So you’ve tried barre and Pilates, and they were great. But they didn’t exactly live up to the hype that Instagram, fitness magazines, and your sister-in-law had built up. What was the big deal? Give it another try, and this time, head to ChaiseFitness. Over time, you’ll watch your physique transform, thanks to the lengthening and strengthening effects of each move. NYC: If you can make it here, you’ll make it anywhere. The same can be said for making it through a ConBody class. The bodyweight-only program was developed using military bootcamp techniques. Squats, burpees, push-ups, planks — each move is taken to the max to inspire strength, endurance, and whole lot of burn. Each session is designed to be completed anywhere, anytime (in a prison cell, for example). It is not meant to be easy, which makes it incredibly effective. And exhausting. Be a lover, not a fighter. Or take out so much pent-up aggression on a punching bag that your fighting spirit gives way to an abundance of love. Whatever works. 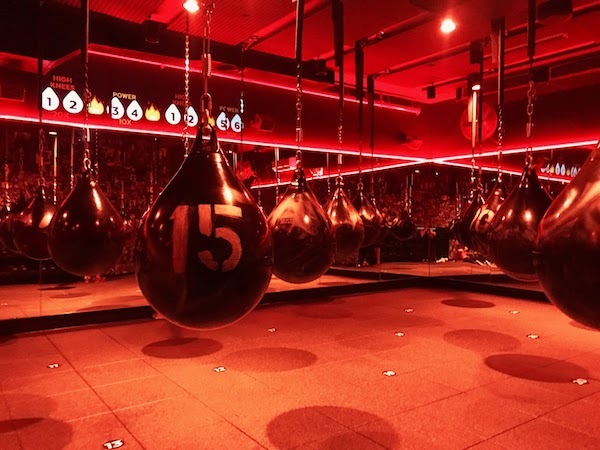 Rumble Boxing can provide the equipment and the endorphins. Each class is comprised of High Intensity Interval Training (HIIT), strength training, metabolic conditioning (METCON), and cardio. You’re constantly moving through a series of grueling exercises for 10 rounds of heart-pumping fun. Life in New York City is unique, and the way New Yorkers stay in shape is no exception. 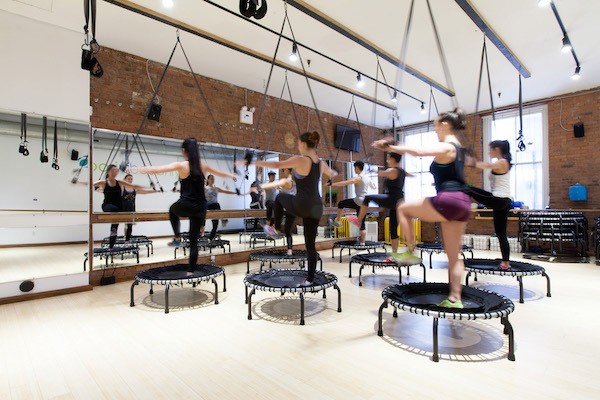 The best fitness classes in NYC offer up something that 8.5 million people can’t seem to get enough of. You’re obviously not going to miss out on enjoying a deliciously weird Spaghetti Donut or Burgrito. Work them off in just as unexpected of a way. You might also not expect how easy storage can be. Save your energy for a cool workout class and leave the heavy lifting to MakeSpace. Simply schedule a pickup and pack your stuff. We’ll pick up everything from your home and transport it to our secure, temperature-controlled storage facility. When you need your foam roller and/or portable back massager back (and trust us, after these workouts, you will), browse the convenient online photo catalog of your stuff, click the items’ photos, and we’ll deliver them to you.